The sloop Star 22 designed by Architect Franco Boretti to compete in the Transpacific Race, was built in 1969 in mahogany and teak by the Mingo shipyard in Riva Trigoso (Italy) in accordance with the strict 100A1 specifications of Lloyds of London, and in the best tradition of world-renowned Italian craftsmanship. Today, after a complete restructuring in 1999-2003 (deck, engine, superstructures, generator, etc. 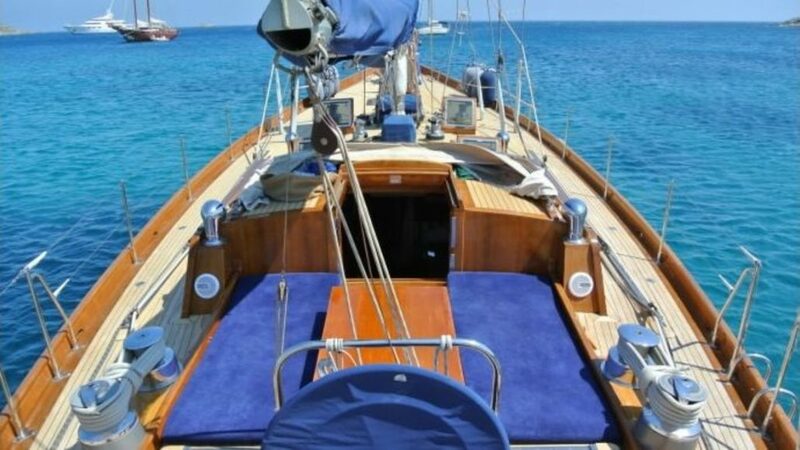 ), STAR 22 is one of the most appealing and prestigious classic boats for sale in the Mediterranean. Her brand new deck, spacious and open, is equipped with modern functional rigging, allowing easy manoeuvring of 230 sq. mt. sails and safely enhancing the racing skills of the beautiful yacht. The navigational equipment is state-of-the-art. 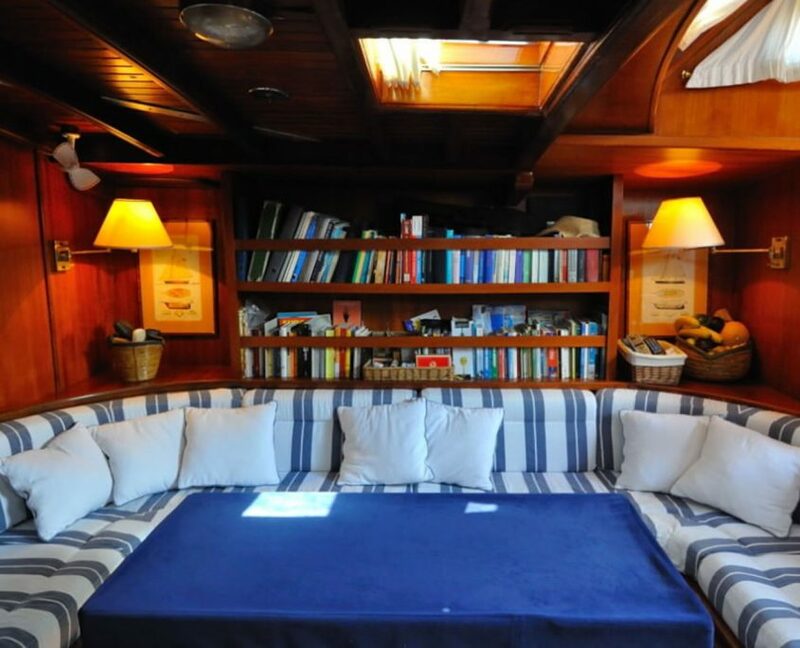 The Crew (skipper, sailor, hostess) are all highly experienced professionals: friendly, skilful, and gracious, they, and their culinary talents will be at disposal in order to ensure that your holidays on board the Star 22 will be unforgettable. The Interior has also been returned to its original splendour following a painstaking restoration: precious woods, fine fabrics, antique lamps and prints, everything combines to make the split-level saloon and comfortable cabins (all en-suite) very welcoming and pleasing. 1 crew cabin with bathroom. GPS Chart Plotter, 24nm Radar, Wind Instruments, Autopilot, Echosounder, Log, VHF and SSB Tranceivers, GSM Phone. Air Conditioning Cold/Hot, 4 Rings Cooker with Owen, Generator 10Kw, Water Maker 120 lt/h, Stereo Equipment, DVD Station, Tender 18 HP, Cabin Linen, Sun Cushions, Bimini Top, Hot Water, Fishing Equipment.